This is definitely an impressive place and is worth visiting just to admire its scale. Inside the memorial are numerous things from CKS’s life and rule, leaving out everything nasty (like the 2/28 massacre or the estimated disappearance of 80 000 people during his reign). His two bulletproof black cadillacs look really cool too. 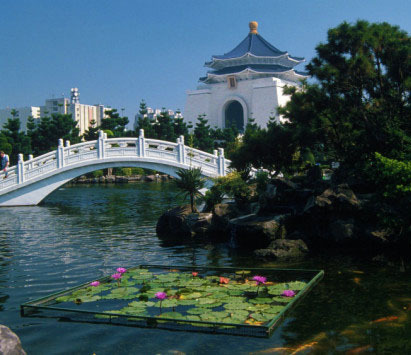 It’s another great place to escape the noise of the city and you can bring a packed lunch from the best buffet in Taipei, and sit in the grounds while you admire the architecture and listen to the birdsong.